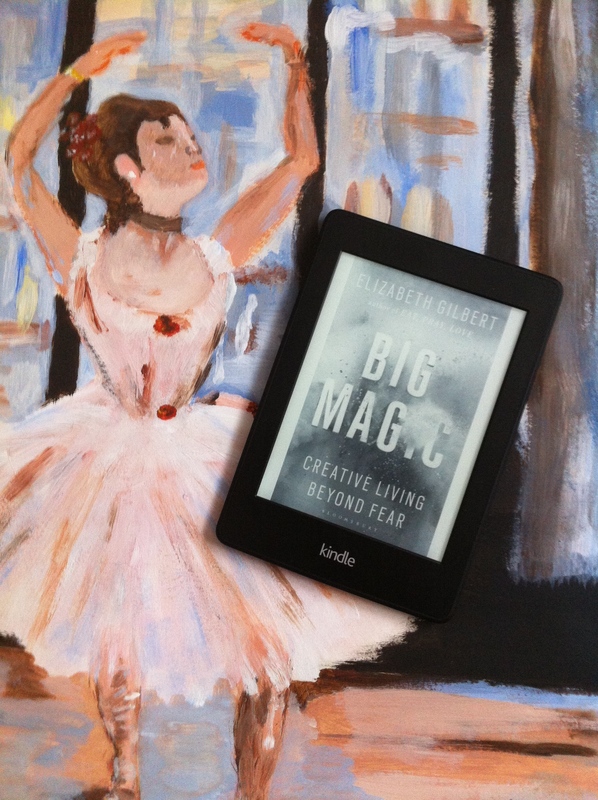 And another book I’ve read these days: „Big Magic“ by Elizabeth Gilbert. Yes, I loved „Eat, Pray, Love“, and I can still remember where I read it. Shortly after my father’s death on a holiday on beautiful Kos/Greece. I also spent 6 months in Ubud 2014/15, in the beginning unaware of the fact that a part of „Eat, Pray, Love“ took place there. And I even ended up staying overnight in Wayan’s shop because she had given me some herbs that made me puke for hours, so that I simply couldn’t leave – talking with her among other things about Elizabeth Gilbert and „Eat, Pray, Love“, which was somehow surreal. But the universe has always had quite an interesting sense of humour.